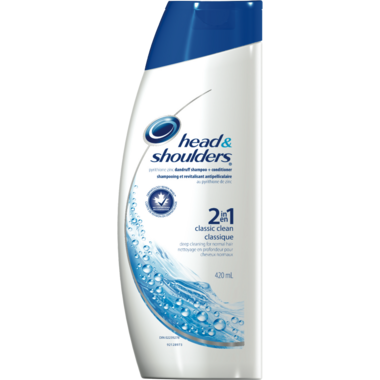 Formulated with a fresh, clean scent, Head & Shoulders advanced Classic Clean shampoo and conditioner can help keep hair clean, manageable and free of visible flakes with regular use. Gentle and pH balanced. I order this for my boyfriend, I love the smell, it does live up to its words. I'd recommend it. Nice product! This is the only brand my husband uses to get rid of dandruff!!! Efficient stuff! I love how my boyfriend smells after using this. Plus it rids us both of dandruff right away. I usually only have to use it once in a while. Great stuff! I love the smell of this product. Got hooked when I was given a free sample months ago from Well, and decided to try it. I don't have dandruff, so I don't use it regularly since it is medicated. But when I do, it leaves my hair shiny, and soft, and smelling wonderful!